Another rainy afternoon, another World of Warcraft map. 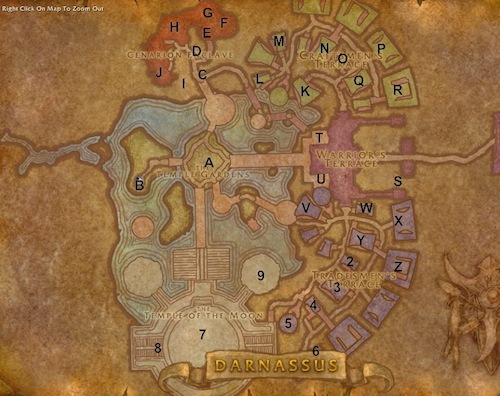 This time it’s Darnassus. It’s a city I always found a pain to get around initially, second only to Exodar. As always, feel free to post corrections or additions in the comments.